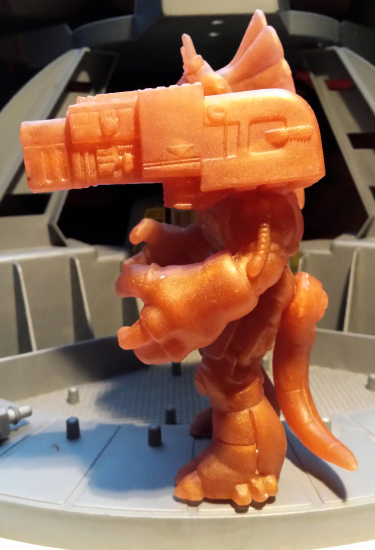 Lazer Saurs Tricera-Tank First Pull From Galaxxor x Goodleg Toys! 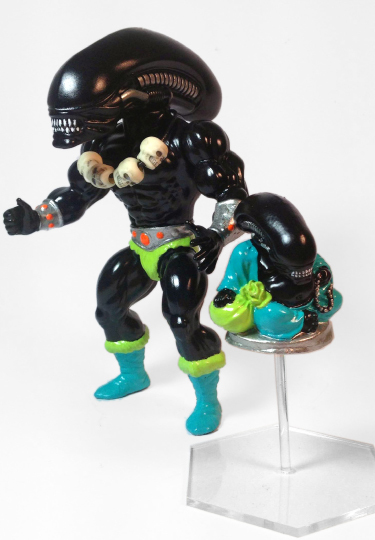 If you're headed to DesignerCon in Pasadena, CA, I am very jealous of you. Many of my good friends, artistic collaborators, heroes, favorite artists and Max Minor will be in attendance. When you're there, be sure to hit up my pals Mark and Marty at the Godbeast/Mystical Warriors of the Ring/TrueCast Studio Booth #300. 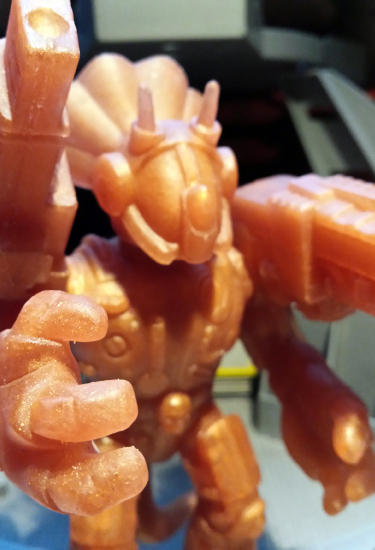 They're going to have the first pull of my upcoming Xenotron figure for you to check out in person! All of the gory details about Xenotron and the invaluable help that the mighty TrueCast Studio provided for his eventual rise to glory will be discussed very soon! 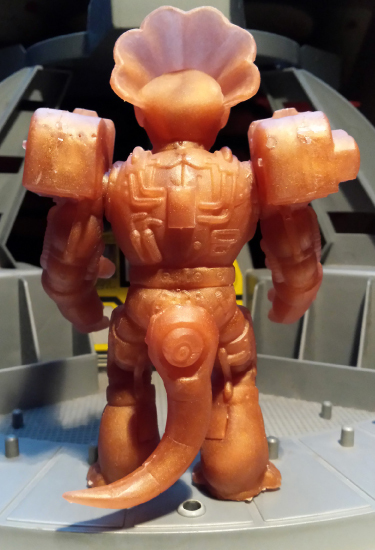 Being a collector of resin toys, myself, I've been a long time fan of Extra-Truckestrial Customs. Over the years, I've amassed quite the Extra-Truckestrial collection and become really good friends with Tim Harrison, the mastermind behind the operation. For a while, now, Tim and I have been discussing the possibility of collaborating on something. 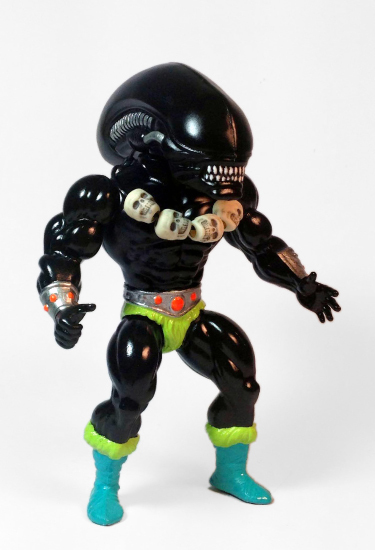 About a year or so ago, Time had shown me a resin Alien head that he was casting that was perfectly sized for a vintage MOTU figure. I kept bugging Tim to make me something with it, but busy schedules got in the way. 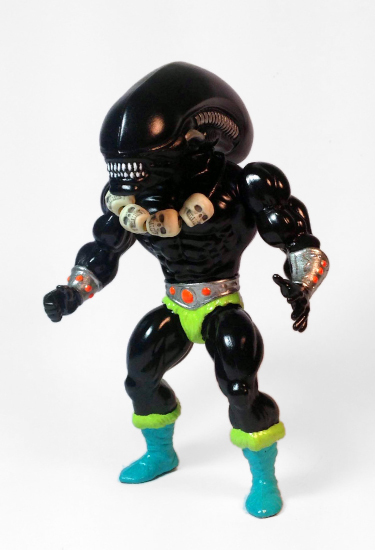 Then, a few months back, it occurred to me that I could produce a figure with that head, utilizing junky, disused vintage MOTU bucks, in much the same way that I've done with my Cyborg Space Barbarians and Grape-Apes. Tim thought it was a great idea and the concept of Barbaliens was born. But wait, there's more! 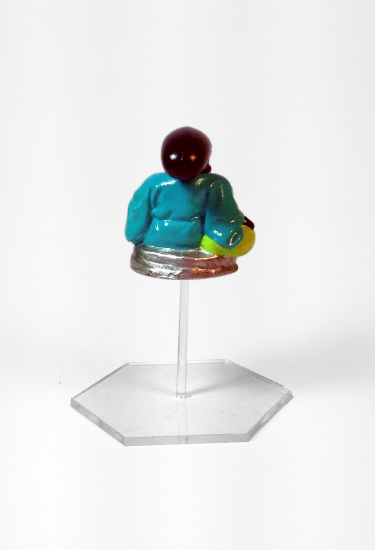 Extra-Truckestrial had also been producing some super cool resin mini figures that featured the body from a Buddha statue and the head of a pop cultural icon. Tim had the idea to produce said figure with the Alien head, as well, and asked me if I wanted to include one of those, as well. I brainstormed over the concept and, reaching back into my tabletop gamer roots, came up with the idea of utilizing a cleat acrylic flight stand. This concept took what originally was a statue and turned it into a tiny fat wizard Barbalien floating on a levitating silver disk. I really enjoyed painting these figures and getting back to working with the vintage MOTU barbarian buck. In recent releases, my painting sytle and identity has evolved into one centered around simpler, cleaner aps. 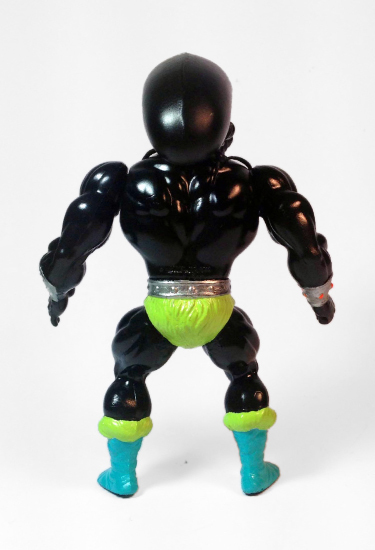 I feel like I am now very closely emulating the style that you would see on an action figure from the early 80's. Colorwise, with this release, I was really going for a blacklight poster sort of palate, and I think that shows. 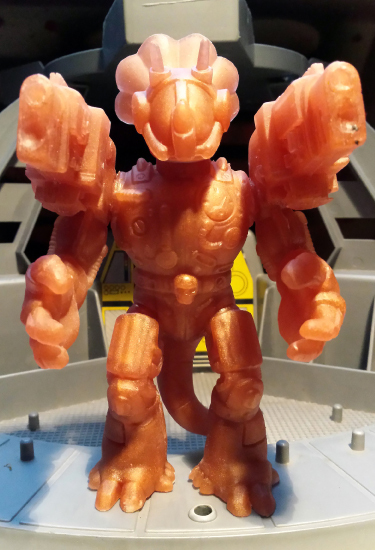 I found that the colors also work particularly well, because they remind me of an early 90's figure, from the time when Alien toys were all the rage. 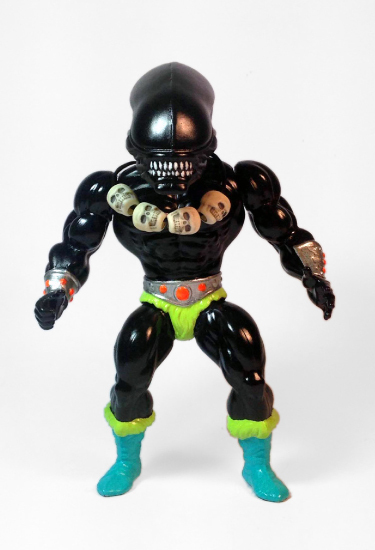 The Barbalien Warrior and Magus 2 pack comes with 1 Barbalien Warrior figure, which features a head cast in resin by Extra-Truckestrial Customs and the reclaimed body of a vintage 5.5" MOTU figure. 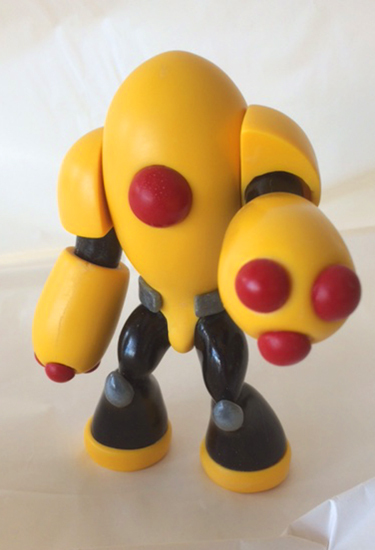 It was hand painted by Ben Spencer, features shoulder articulation and comes with a skull trophy necklace accessory. 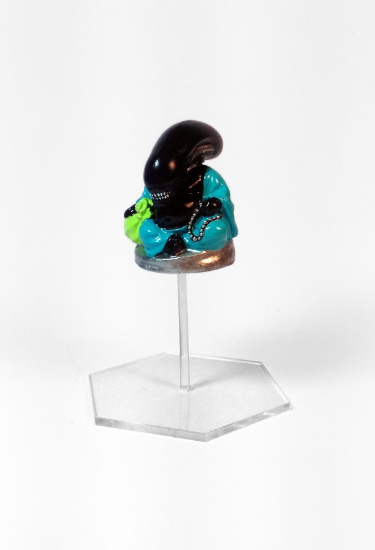 The Barbalien Magus was mashed up and cast in resin by Extra-Truckestrial. It was hand painted by Ben Spencer and is mounted on a clear acrylic flight stand. This 2 pack is limited to an edition of 5 sets and will be available from The Galaxxor Online Store at noon CDT on 11.10.14.